It is no question that in current times, we as a population are a wasteful society. Rather than fixing, reusing or recycling our items as we did in previous generations, we are now quick to throw away our items for the next “latest and greatest”. Here are some interesting facts about our waste and what happens after it goes in the rubbish bin. Once rubbish is picked up by the garbage truck, rubbish is transported to a landfill. Landfills are essentially a big hole in the ground where rubbish is dumped and buried. 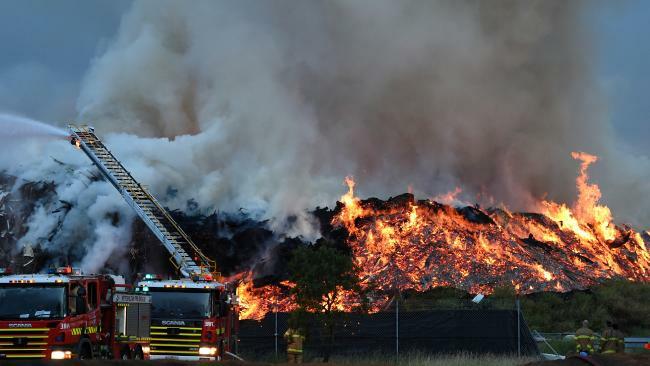 This method has come a long way from previous methods of burning rubbish, but a landfill still poses many ecological, social and economical impacts. As the rubbish in a landfill decomposes, two things occur. The rubbish slowly turns into an acidic substance called leachate and the decomposing rubbish also releases methane gas. Without proper management of these two bi-products, serious environmental harm can occur. Leachate can seep into groundwater and make the groundwater unusable and highly toxic, which can be detrimental for nearby users of the groundwater. Methane gas is also highly combustible and a fire can occur within the landfill. 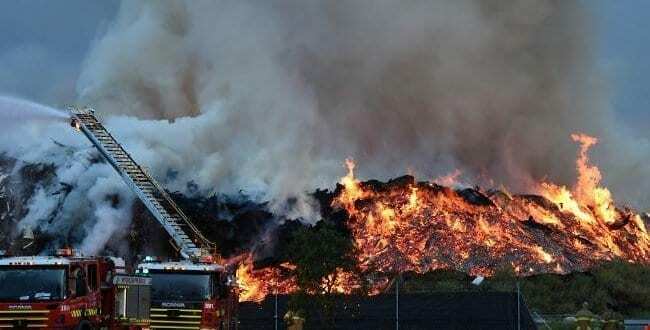 However, as the landfill is covered daily, a fire may not be detected until it is too late and can lead to catastrophic events. As the gas is produced, it seeps up out of the landfill and into the atmosphere. Due to the size of landfills and the amount of natural gas produced, landfills currently contribute 3 % to the greenhouse gas emissions. As the population increases and the amount of rubbish increases, so will the landfills’ effect on climate change. For an example, at the Browns Plains Landfill, there is only an estimated 15 years of life left before a new site for landfill is required. The rate at which the landfills are filling is approximately an Olympic sized swimming pool every four days. This not only shows how wasteful we are, but also how big landfills are and the amount of environmental damage they are causing. No doubt, siting a new landfill is costly and with the potentially increased travel time for the garbage trucks, we will all feel the effect on our next rates bill. On top of this, how many people do you know want to live next to a landfill? Improperly managed landfills can be quite odorous, have litter strewn across the site, not take complaints seriously, contain rodents and birds and a whole range of other nuisances which can impact stormwater runoff quality as well as causing a social effect on neighboring properties. Even an economic impact is felt due to potential loss of business for surrounding businesses or decrease in property value. This will occur more and more with the increase in waste generation. There are mitigation measures and opportunities available to turn the negatives into positives. Leachate can be collected and reused in the landfill to break down the rubbish quicker. This leads to an increase in gas emissions, which can also be collected, processed and sold as natural gas. This natural gas can be used as a source of energy. For example, the Browns Plains Landfill processes their gas and uses it to power their site. The amount of power generated is enough to power approximately 2000 homes in Logan! Recycling is another fantastic way to reduce the amount of rubbish going to landfills. This starts at home, and by holding frequent garage sales for example, unwanted goods can be moved on to people with a need for them. Then, recycling markets are becoming more common at landfills, where you can take your unwanted goods and they can be sold, with all money going to the landfill operators to improve their environmental impact and remediate the site. Who knows, maybe one day you could even get married on a remediated landfill site! So next time you want to throw something potentially useful out, consider recycling this item to another person. At the shops, think to yourself if you really need that extra plastic bag or the item with five layers of packaging. If we all do our little bit to become less of a wasteful society, a little thought will go a long way and will have a whole range of benefits for everyone.